Tobacco « What Happened to the Portcullis? A tobacco body has urged African governments to stamp out illegal tobacco trade, as their economies are losing billions of dollars in taxes annually. Tobacco Institute of Southern Africa (TISA) revealed that governments in the region are losing between US$20 billion and US$40 billion annually in taxes as a result of illegal tobacco trade, hence the need for collaboration among stakeholders to curb the vice. This is contained in a statement issued by KPR Consulting Limited on Friday. “The size of the global illegal tobacco trade ranges between 330 and 660 billion cigarettes a year. These are cigarettes that are either smuggled, counterfeited or where tax is being evaded. “This equates to around six and 12 percent of global consumption, which deprives governments of between US$20 [billion] and US$40 billion a year in taxes,” the statement reads. TISA, which is a regional body that represents tobacco traders, growers and processors, estimates illicit tobacco trade incidences in Zambia being between 20 and 30 percent. South Africa is rated among the top five countries globally when it comes to the trade in illegal cigarettes, with industry research estimating that around 23 percent of all cigarettes consumed in South Africa in 2014 were illegal. Commenting on the issue, British American Tobacco Zambia managing director Clara Mlambo cited weak penalties for criminals, poor border controls, low arrest rates and tobacco taxes creating intra-regional disparities as contributing factors. Two suspects have appeared in a Namibian regional court Monday in connection with more than 1,000 cartons of cigarettes confiscated by the police Thursday last week.The two, both said to be Zimbabweans, appeared before a Rundu Magistrate in the northern Kavango region after their arrest over the 11.3 million Namibian dollars (940,000 U.S. dollars) cigarette contraband destined for South Africa. The two were each charged with two counts of contravening the Custom and Excise Act 20 of 1998 and non-declaration of goods upon entering Namibia as well as the Prevention of Organized Crime Act 29 of 2004 of money laundering. Tobacco Taxes or Cigarette Smuggling – Which Is Worse? Rampant cigarette smuggling isn’t the problem in New York–“sky-high” tobacco taxes are, according to an op-ed by Patrick M. Gleason, director of state affairs at Americans for Tax Reform, in The Wall Street Journal. “This misguided lawsuit demonstrates once again that too many in government do not understand the root cause of cigarette smuggling. New York state levies the highest cigarette tax in the nation, $4.35 per pack, and New York City tacks on an additional $1.50 local tax. All told, the cost of one pack there can run to $12 or more. “The result? Most of the cigarettes smoked in New York, 58%, are smuggled in from out of state, according to the nonpartisan Tax Foundation. The higher that revenue-hungry politicians raise tobacco taxes, the more profit smugglers can make. “Politicians never learn. 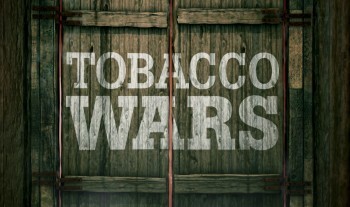 Of the 32 state tobacco tax increases that went into effect between 2009 and 2013, only three met or exceeded revenue projections, according to industry data. “Lawmakers can claim they’re raising taxes on cigarettes to reduce smoking and improve public health. That talking point is belied by the recent imposition of taxes on electronic cigarettes, which are saving lives by delivering nicotine in puffs of water vapor instead of chemical-filled smoke. There are more than 15 tax bills pending across the country for currently untaxed e-cigarettes. Hawaii is proposing a tax of 80%, New York of 75%, Oregon of 65% and Ohio of 60%. “For politicians, cigarette taxes are—and have always been—about one thing: money. “New York state officials claim that the cigarette smuggling via UPS cost the treasury $29.7 million in lost tax revenue. That’s less than 0.03% of the state budget. The $4.7 million allegedly lost by New York City represents less than 0.006% of its budget. Click here to view the full Wall Street Journal opinion piece. The nation awaits the 2015 Budget Speech with trepidation to know if income taxes will rise. But there is unanimous certainty there will, as per usual, be an increase in ‘Specific Excise Duties’. The only question is by how much? Taxation of cigarettes and tobacco products appears to be the path of least resistance for tax-collectors. It receives little backlash from the wider public (unlike e-tolls) and even support in some quarters. Despite all the furore over public health and governments efforts to decrease the demand for cigarettes, South Africa is no different to other nations – annual tobacco revenues to the state coffers amounts to around R10 Billion! Another round of sin tax increases in the upcoming budget appears inevitable, and these increases are spawning a range of unintended (but not unexpected) consequences – the illicit trade. Source: Polity.org / DNA Economics. Authorities in Greece are trying to piece together the source of a large quantity of smuggled cigarettes found onboard an abandoned ship at the Greek island of Zakynthos. The Hellenic Coast Guard reports that the local Port Authority found a large amount of contraband cigarettes in the cargo hold of the Palau-flagged MV Amaranthus while moored along the west coast of Ionian Sea island. No crew were onboard the ship at the time. The ship is scheduled to be taken to the port of Zakynthos where the cigarettes will be confiscated by Border and Customs officials as investigators try to determine the owner of the ship and source of cigarettes. Customs officers have scored a major victory in the battle against smugglers after seizing 50 million cigarettes in 10 months. The Irish Mirror reports Revenue officers made 5,025 separate swoops between January and the end of October. They also impounded 9,560kgs of tobacco in 867 operations. The record haul makes 2014 one of the most successful to date in the war on counterfeit tobacco. While these smuggled cigarettes would have cost the Exchequer tens of millions of euro they’re also more dangerous for smokers’ health. And with the huge crackdown, Customs officers will be keeping up the pressure in 2015 to stub out the tobacco black market. A Revenue spokeswoman told the Irish Mirror: “To the end of October, more than 50 million cigarettes were seized in 5,025 separate seizures while 9,560 kilogrammes of tobacco were seized in 867 seizures. “This includes a major seizure in Drogheda in June in which officers, supported by An Garda Siochana, seized more than 32 million cigarettes and 4,500kg of water pipe tobacco. “Combatting the illegal tobacco trade is, and will continue to be, a high priority for Revenue. 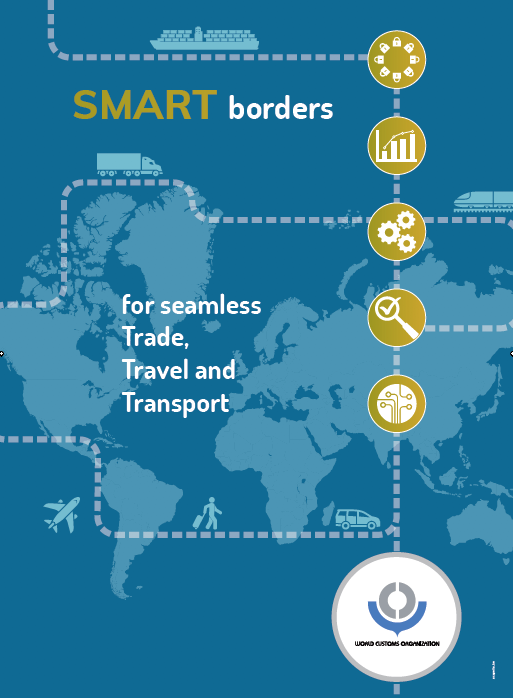 Customs officials use tactics including risk analysis, profiling, intelligence and screening of cargo, vehicles, baggage and postal packages. They also carry out random checks at retail outlets, markets and commercial shops. The spokeswoman said: “This includes analysis of the nature and extent of the problem, developing and sharing intelligence on a national, EU and international basis. “It also includes use of analytics and detection technologies and ensures optimum deployment of resources at points of importation. “Revenue co-operates extensively with An Garda Siochana in combating the illicit trade, and relevant agencies in the State also work closely with their counterparts in the North, through a cross-border group on tobacco enforcement, to target organised crime groups responsible for a large proportion of the illegal tobacco market. 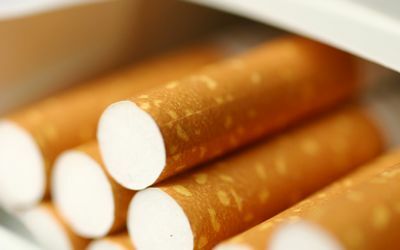 South Africa leads Africa in the illicit trade in tobacco and is listed among the top five illicit markets globally, according to the Tobacco Institute of Southern Africa, which represents tobacco growers, leaf merchants, processors, manufacturers, importers and exporters of tobacco products in SA. More than R20bn in tax revenue has been lost in SA since 2010 due to the illicit trade in tobacco, the institute’s CEO, Francois van der Merwe, said on Wednesday. The problem is severe in SA, but Zambia, Namibia and Swaziland have estimated incidences of well above the global average of between 10% and 12%. Mr van der Merwe said efforts to combat the illicit trade in tobacco were complicated by the links that the business had with transnational organised crime syndicates, some of which funded terrorism. “The problem runs far deeper than enormous losses of fiscal income that could have been put to good use to bolster government efforts in education, infrastructure development and poverty alleviation,” said Mr van der Merwe. He was speaking ahead of a meeting later in November of global, regional and local law enforcement, along with revenue and customs agencies in Cape Town, who will seek better ways to collaborate in addressing the illicit tobacco trade in sub-Saharan Africa. “We have seen first hand what effective focus on combating illicit trade by government can achieve,” said Mr van der Merwe, ascribing a decrease in the illicit tobacco trade, from 31% to 23% this year, to better collaboration. Mr Van der Merwe said that although the declining numbers in SA were encouraging, this did not bode well for the rest of the region as organised crime was a moving target prone to shifting its focus to “easier” markets when it was under attack. Tobacco Industry – When Thieves fall out? British American Tobacco (BAT) could have its dirty linen aired in court following a sensational high court application launched by local “value brand” producer Carnilinx for alleged “corporate espionage”. In the application, Carnilinx director Kyle Phillips claimed BAT paid Pretoria attorney Belinda Walter for commercially sensitive information she obtained while “infiltrating ” the company and the FairTrade Independent Tobacco Association (Fita) in 2012 and 2013. If this goes to trial, these spy claims could be extremely damaging for BAT, which is based in London and is the largest company listed on the JSE Securities Exchange, worth R1.26-trillion. “BAT has used unlawful means to interfere in the business of the applicant. It has paid [Walter] monies to spy [on Carnilinx],” Mr Phillips claimed. Ms Walter acted as the attorney to Carnilinx and as chairwoman of Fita, an industry body ostensibly established to represent South Africa’s smaller tobacco manufacturers. Carnilinx is headed by Adriano Mazzotti, who donated cash to the Economic Freedom Fighters, which helped it to contest the May election. Mr Mazzotti’s company is asking the court to interdict Ms Walter from providing any further information to BAT and to stop BAT unlawfully “interfering with its trade”. Carnilinx’s application is based on Ms Walter’s “confession” during a meeting in February, in which she detailed her role as an informant for the government’s State Security Agency, which allegedly introduced her to Forensic Security Services (FSS). This private security firm works for the Tobacco Institute of SA (Tisa), which represents the larger tobacco producers, notably BAT. This journalist witnessed Ms Walter’s admissions at that meeting. In its legal papers, Carnilinx said FSS then “introduced Walter to BAT, to whom she would give information on the smaller manufacturers”. Mr Phillips goes further, saying Ms Walter proposed creating Fita in the first place so “she could infiltrate all the smaller tobacco manufacturers”. “The first Fita meeting was held late in 2012, at Walter’s offices, which Walter admits with her compliance and knowledge was bugged by FSS. For the information she fed to BAT, Walter was paid,” he said. In Ms Walter’s opposing affidavit, filed on Friday, she claimed she was under “extreme emotional distress” during that meeting with Carnilinx in February, because of physical threats against her and her son. She denied “any commercial or attorney-client relationship with BAT South Africa”, and said she was “nothing but a thorn in their side”. When asked by the Sunday Times this week, Ms Walter did not deny that she fed information to BAT’s London office, or that she had knowingly allowed the first Fita meeting to be recorded by FSS. But she said the leaking of information was common practice among Fita members. Instead, in her court papers, she mounted a scathing attack on her former client, Carnilinx. “Carnilinx also attempts to paint a picture that they are ‘victims’, choir boys in the church choir. This is simply not the case,” she claimed. Ms Walter said she could say “with confidence” that almost all Fita members provided information on each other to law-enforcement agencies about widespread “dealings in illicit products and criminal activities”. She claimed Carnilinx employed “its own investigators to spy on competitors, rat out its competitors to law-enforcement agencies and provide substantial information on illicit trade of its competitors to the South African Revenue Service” (SARS), and that “at least one Carnilinx director is a paid SARS informant”. Ms Walter resigned as attorney to Carnilinx, and soon after as chairwoman of Fita last November after becoming romantically involved with the head of SARS’s enforcement division, Johann van Loggerenberg. That relationship ended “acrimoniously “, prompting Ms Walter to lay complaints with SARS against Van Loggerenberg, in which she claims he divulged confidential taxpayer information relating to his investigations into Carnilinx, among others. Now Carnilinx is claiming Ms Walter “fed information on Carnilinx to SARS “. In response, Ms Walter alleged that Carnilinx was offered “tax leniency” in exchange for filing the application against her — an allegation Mr Mazzotti has denied. Relatives of President Robert Mugabe are being linked to illegal tobacco smuggling networks suspected of bringing more than $48 million in contraband through South Africa’s borders, reports NewZimbabwe.com. Harare-based Savanna Tobacco is owned by a prominent Zimbabwean businessman, Adam Molai, who is married to Sandra Mugabe, one of Mugabe’s nieces. Molai has previously worked with Sandra as co-director of the Zimbabwe Tobacco Growing Company. Savanna has allegedly moved tons of illegal tobacco into South Africa. 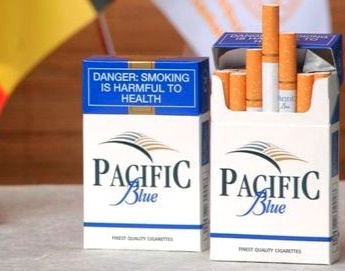 The company’s main brand, Pacific cigarettes, has been found in concealed consignments by police in South Africa and abroad, according to two private investigators who track tobacco busts and work for the industry to counter the trade in illicit tobacco. The products have been linked to a huge tobacco smuggling operation whose base in South Africa was shut down in 2010 by the South African Revenue Service (SARS), which is engaged in a crackdown on the country’s illegal tobacco markets. Images taken at the scene of two busts in South Africa and one in Zimbabwe show the extent of the smuggling operation. SARS has refused to confirm or deny whether it is investigating Savanna, citing the confidentiality requirements of the Tax Administration Act. The frequency of the busts, the methods used and the quantities of illegal Pacific cigarettes found have led sources close to the investigations to claim that Savanna has been centrally involved for at least four years. It also increases suspicions that Zimbabwe is using smuggling to keep its economy afloat. Mugabe has openly supported Savanna. A year ago, he accused rival British American Tobacco (BAT) of spying on Savanna and hijacking its trucks. “If this is what you are doing in order to kill competition and you do it in a bad way, somebody will answer for it,” Mugabe warned. Boxes of cigarettes that can be made for as little as R1.50 are easy to slip into the local market to avoid the R13 tax a box. Whereas popular brands of cigarettes can retail at R35 a pack, illegal cigarettes sell for between R4 and R12 a pack. With margins approaching 1000%, the illicit trade has become one of the largest elements in organised crime in South Africa. 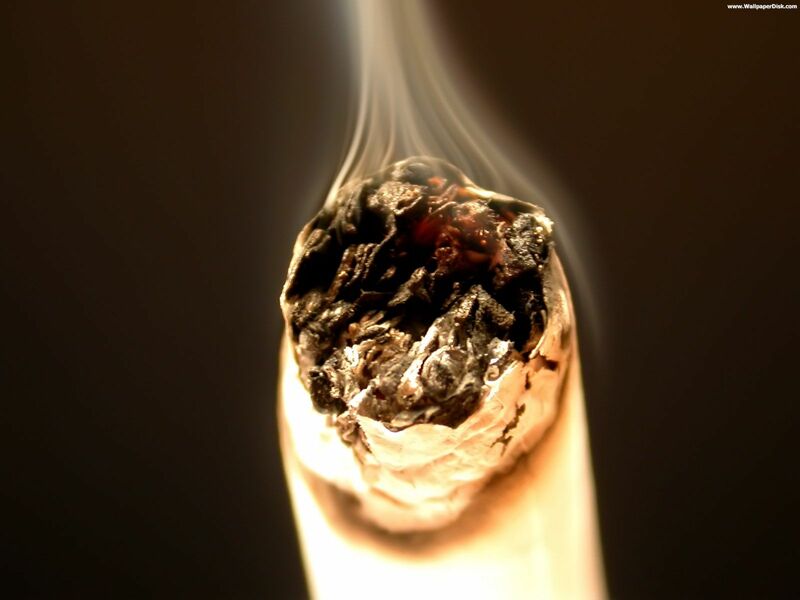 According to research commissioned by the Tobacco Institute of South Africa, which is predominantly funded by BAT, 9.5billion illegal cigarettes with a street value of about R4-billion were smoked locally last year. Savanna has captured almost 10% of this market, according to the institute, with about 700 million of its illegal cigarettes smoked last year. 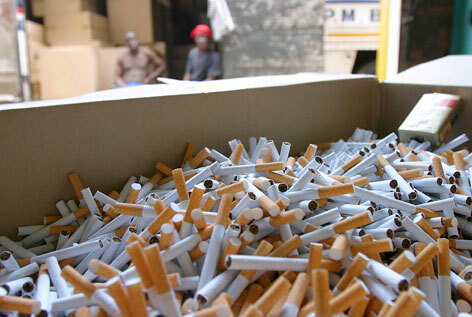 Pacific’s illegal cigarettes are sold mostly on the streets of Cape Town. In one of the biggest busts in October, 1.6million Pacific cigarettes were found hidden on a train in Plumtree. Pacific cigarettes have also been seized at the Beitbridge border post near Musina and in Boksburg, on the East Rand, during busts in November. Trucks were found carrying Pacific cigarettes in concealed compartments. This month, a consignment of Pacific cigarettes was found hidden behind electronic goods on a truck in the Western Cape. Similar busts have been made in Mozambique and at a border post between Zambia and Namibia, according to private investigators. Evidence from the Plumtree train bust showed that the smuggling route had its origin as Savanna’s factory in Zimbabwe and South Africa’s black market as its destination. In the Plumtree bust on October 12, Zimbabwean police confiscated 40 tons of illicit Pacific cigarettes that had come from Bulawayo. The train was said to be carrying gum poles. Records reveal that between September 2012 and August 2013 at least 23 shipments with 44 wagons of “gum poles” had followed the same route. A number of these consignments appear to have arrived at the South African business PFC Integration. According to an investigator who has studied the operation, PFC is “not into the gum pole business at all”. While many nations are mulling over health legislation to curb tobacco use, it would seem the Kenyan authorities have opted for a conventional ‘delay-and-stall’ approach. From a trade facilitation perspective it is a disaster, but no doubt the ‘health propeller heads’ will be happy. The Star (Kenya) reports that Mastermind Tobacco Kenya has accused the Kenya Revenue Authority of detaining its vehicles bringing in unprocessed tobacco from the Democratic Republic of Congo at the Malaba border for the last one month. MTK Malaba liaison officer Robert Kiru said three trucks for its processing plant in Nairobi had been detained at the border since August 30 (2013) with no explanation coming from KRA. “KRA Malaba station manager Philip Chirchir has not given concrete reasons why the trucks are held and neither have we been invoiced for any payment. Our three other trucks are still parked at Malaba Uganda with storage charges now totalling Sh300,000,” Kiru said. Addressing journalists at Malaba border Kiru dismissed as false claims by KRA that no bond had been paid on the impounded trucks. He however failed to show copies of the bond to prove payment. Euromonitor International‘s latest global Tobacco market research provides the latest insight on how the Tobacco industry performed in 2012 and identifies the key prospects through to 2017. 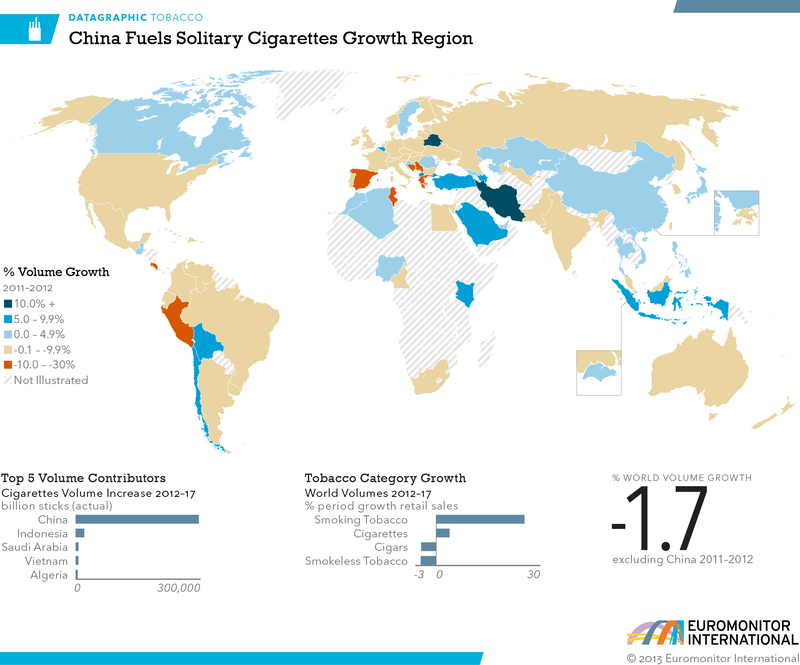 The double whammy of continued global economic uncertainty and increasing tobacco control took its toll as the industry posted a year of weak growth, in which no region experienced volume increases with the solitary exception of Asia Pacific, itself bolstered by the cigarettes behemoth that is China. World cigarettes values, normally propelled by growing unit prices and consumer uptrading, also took a battering, unprecedentedly growing by the same amount as global illicit trade volumes. With the current debate surrounding the reduced risk credentials of non-combustible products such as electronic cigarettes and their classification (pharma vs tobacco), the industry finds itself at a crossroads, pursuing cigarette alternatives whilst maintaining its cash cow. Worldwide, 5.8 trillion cigarettes were consumed in 2012, representing 0.19% growth on the previous year, though this was due to the effect of the world’s largest cigarettes market, China. Without China, the world witnessed a -1.7% decline in 2012 versus 2011. Every region in the world, save for Asia Pacific, saw falls in cigarettes volume sales in 2012 (vs 2011), a decline expected to continue to 2017, with the sole exception of Middle East & Africa, which is expected to return to growth once political turmoil stabilises. None of the BRIC markets registered cigarettes volume growth in 2012 (with the sole exception of China), a trend which will continue into 2017. World cigarette value sales grew by almost the same amount in 2012 as global illicit trade volumes – at around 2.5% each. Values decreased in three regions – Western Europe, North America and Latin America – reflecting consumer down-trading. Sales of premium cigarettes grew by nearly 10% globally in 2012, on the back of China’s double-digit premium growth, though this will not be sustained at the global level in the long term. For whilst China will grow its premium brands by nearly 30% over the next five years to 2017, world premium sales will register a 5% fall. World RYO volumes conversely grew by 6% in 2012 (vs 2011), registering growth in all regions, particularly Eastern Europe where it saw double-digit growth. Growth will continue to 2017, albeit at a declining rate. Sales of cigars and smokeless tobacco both saw volume declines of around 3% in 2012, affected by a combination of poor economic performance and declines in its major markets. Euromonitor International’s latest global tobacco market research shows world cigarette volumes have been kept afloat only by China, as global economic uncertainty and increasing tobacco control continues to take its toll. No region experienced volume increases in 2012 apart from Asia Pacific while world cigarettes values, normally propelled by growing unit prices and consumer upgrading, also took a battering, growing by only the same amount as global illicit trade volumes. With the industry debating the reduced risk credentials of non-combustible products such as electronic cigarettes and their classification, the industry finds itself at a crossroads, pursuing cigarette alternatives while maintaining its cash cow. But can cigarette alternatives deliver? Does the slowdown in cigarette values suggest pricing strength is over? What is happening to innovation and premiumisation? …………… to browse, interact and explore my website dedicated to the exposure of facts, truths and the responsible sharing of the information contained within these pages, about South Africa’s Tobacco Industry! The compilation of articles and also unpublished fact sheets about how this very lucrative and secretive industry operates has up until now been a very dark and well-kept secret! Why would all this information be kept from us? Why would they not want us to know how much money is being made? Why does the Government play both sides of the fence? Who pulls the strings of the authorities? THESE ARE THE QUESTIONS WE SHOULD BE ASKING! !